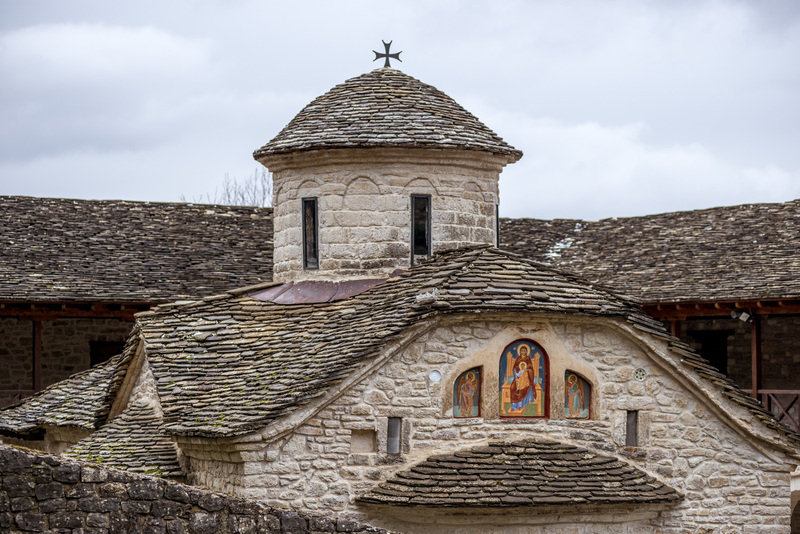 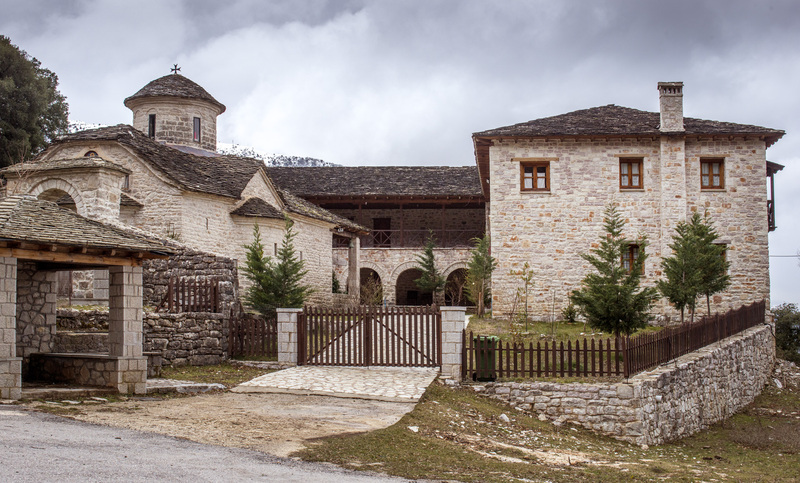 The locals call it Panagia of Kiatra Rosa, which in the Vlach means Panagia on the red rock, because of the red rocks to the east of the Monastery which in the past were used as hermitages. 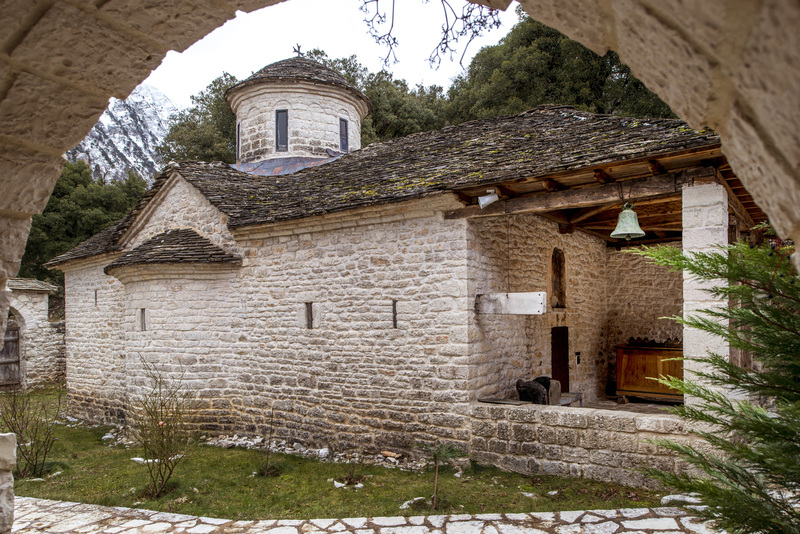 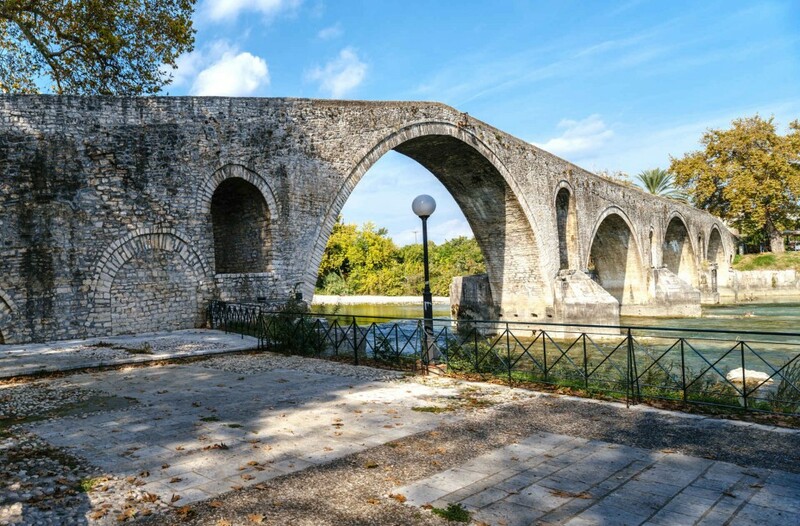 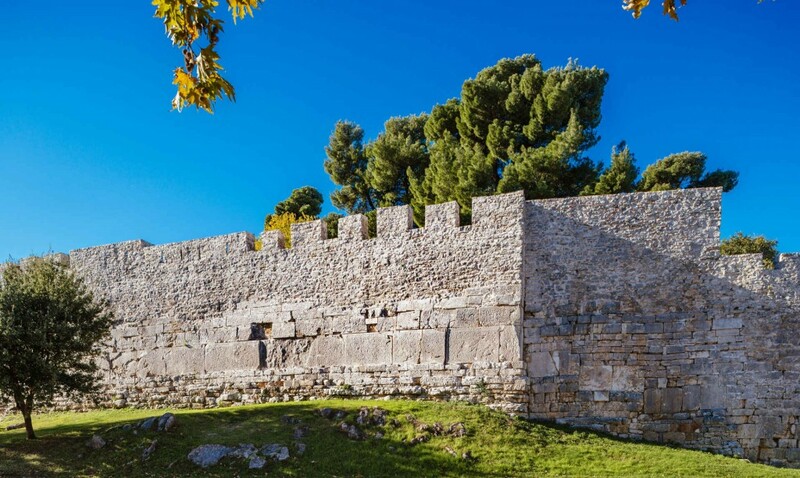 It is located on the northern slopes of Peristeri mountain, close to the village of Anthohori, among the oaks and rocks and celebrates on the day of Zoodochos Pigi (Life Giving Spring). 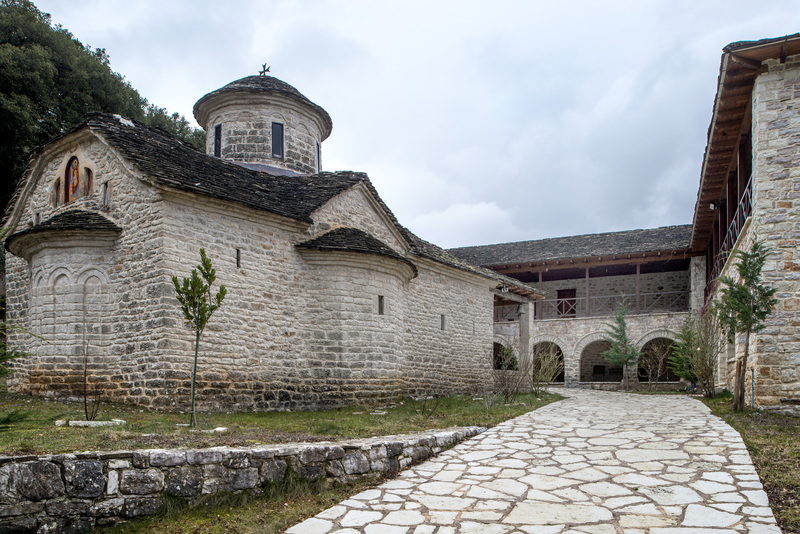 It was most probably founded in the 17th century. 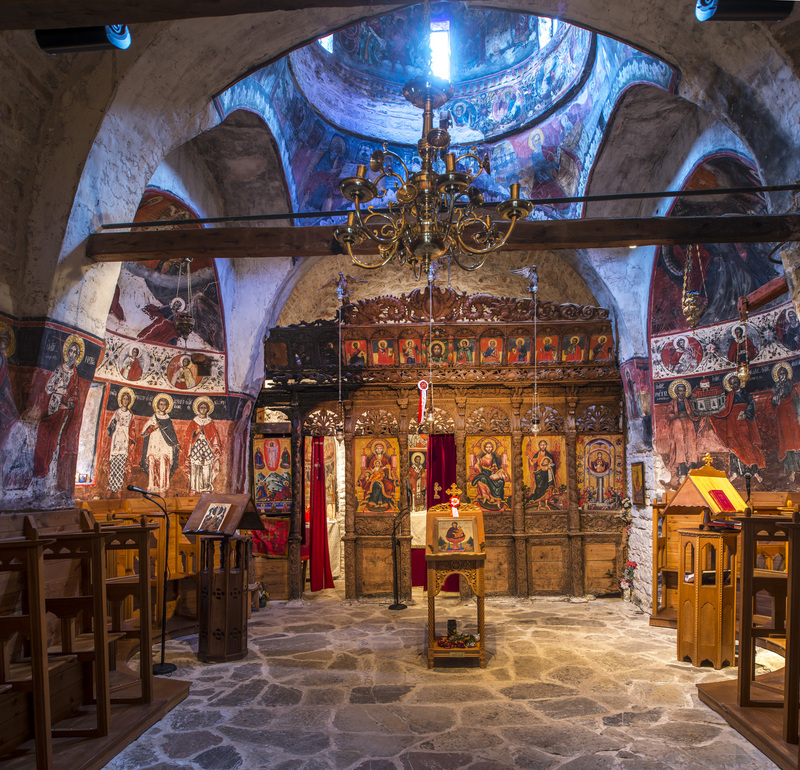 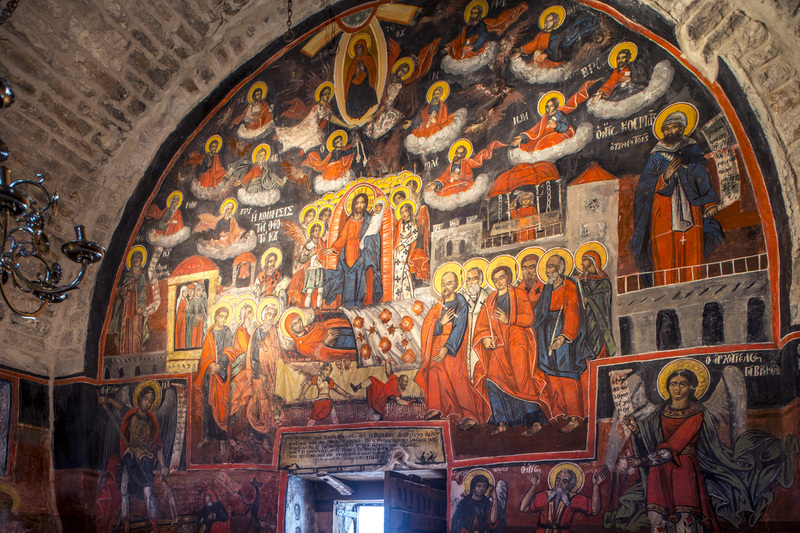 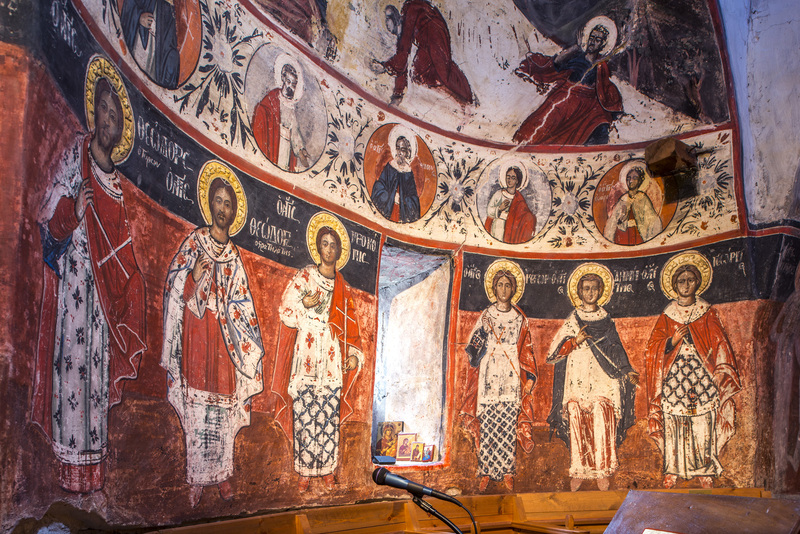 The katholikon, of the Mount Athos type, is decorated inside with wall paintings dating back to the early 19th century. 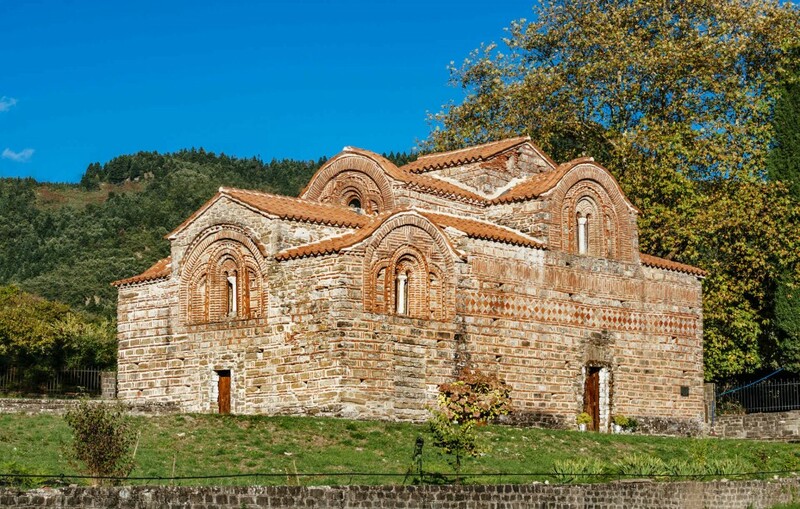 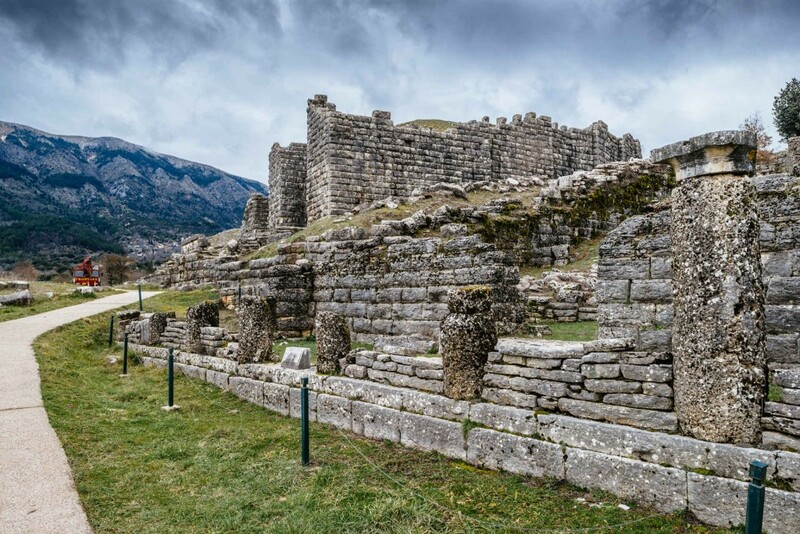 There is a hayat on the western side and a pentagonal apse on the eastern. 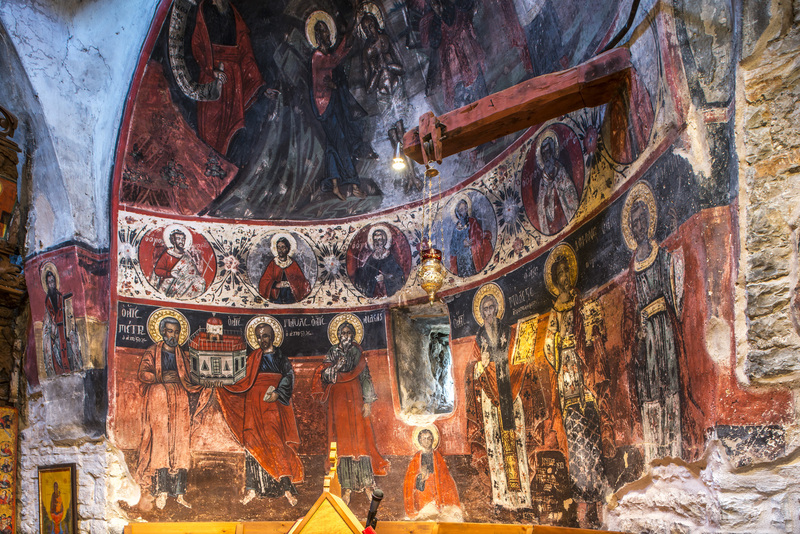 The apse is adorned with shallow arches and on the top there is a conch with the representation of the Zoodochos, which is farmed with the representations of the four built-in clay panels. 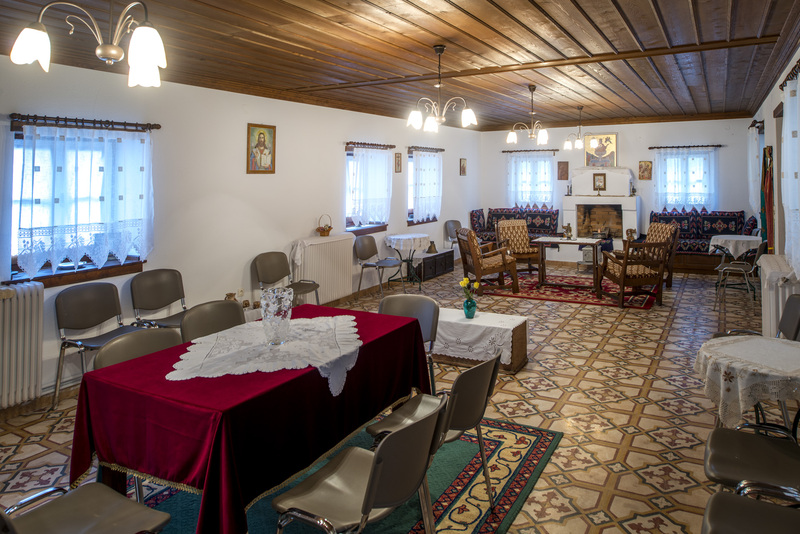 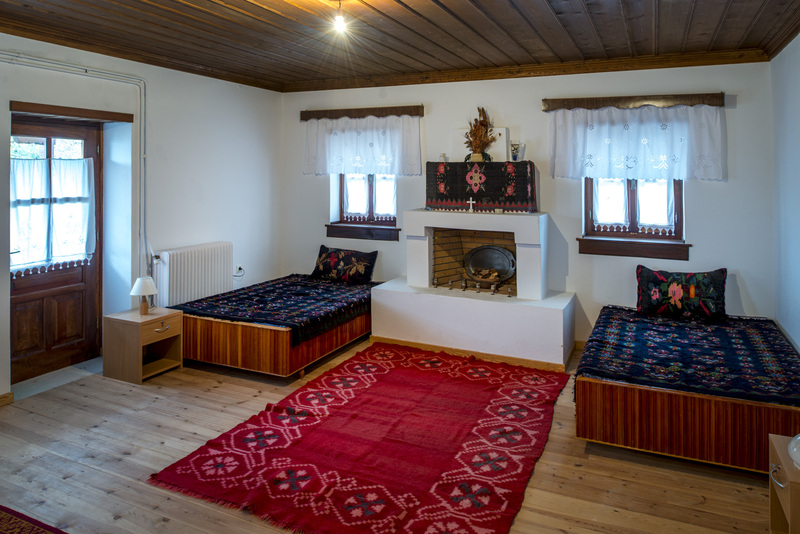 The complex has been recently fully renovated recently and is a listed monument.